Creator of D-Wave: Artificial Intelligence is the "altar of an alien god"
Meanwhile as everyone was busy arguing over the bread and circus elections, the CIA was busy funding a computer so powerful that it is described as “tapping into the fundamental fabric of reality” and the man who owns the company says being near one is like “standing at the altar of an alien God”. The advancement of science depends in general on the interplay between experimental studies and theory. In some cases, theoretical physics adheres to standards of mathematical rigor while giving little weight to experiments and observations. [a] For example, while developing special relativity, Albert Einstein was concerned with the Lorentz transformation which left Maxwell’s equations invariant, but was apparently uninterested in the Michelson–Morley experiment on Earth’s drift through a luminiferous ether. Conversely, Einstein was awarded the Nobel Prize for explaining the photoelectric effect, previously an experimental result lacking a theoretical formulation. Quantum computing studies theoretical computation systems (quantum computers) that make direct use of quantum-mechanical phenomena, such as superposition and entanglement, to perform operations on data. Quantum computers are different from binary digital electronic computers based on transistors. Whereas common digital computing requires that the data are encoded into binary digits (bits), each of which is always in one of two definite states (0 or 1), quantum computation uses quantum bits, which can be in superpositions of states. A quantum Turing machine is a theoretical model of such a computer, and is also known as the universal quantum computer. Quantum computers share theoretical similarities with non-deterministic and probabilistic computers. The field of quantum computing was initiated by the work of Paul Benioff and Yuri Manin in 1980, Richard Feynman in 1982, and David Deutsch in 1985. A quantum computer with spins as quantum bits was also formulated for use as a quantum space–time in 1968. The other purpose is to solve complex problems that conventional computers cannot compute. Coming Soon – CERN scientists are creating ARTIFICIAL LIFE – Sign up for the Freedom Fighter Times Unlimited Section Today and don’t miss this information. Click here for more. The D-wave computer “looks like a giant monolith” and according to Geordie Rose, Founder of D-Wave, the machine has a heart beat which keeps the computational power behind D-wave cool. In other words this machine has a “heartbeat” making it one step closer to a true artificial intelligence humanoid. 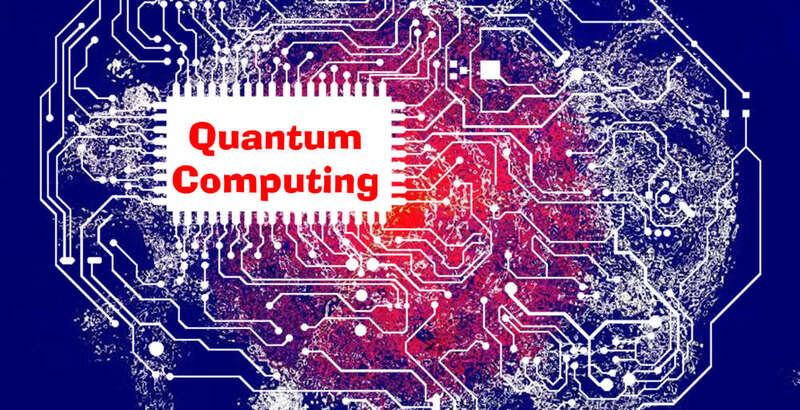 The quantum computing field is actively deploying these machines to every facility that can afford them, such as openly available research centers. They are set to reshape the understanding of dimensions and parallel universes. According to the founder of D-wave, artificial intelligence is here. Understanding what that means, is to understand that the beast system, talked about in revelations, is coming about. The controlling empire called the New World Order can now enslave mankind beyond recognition because there is no more privacy, and if you think wrong – your a criminal. As the Bible states in Revelation 13:17 no man will buy or sell without the mark of the beast – through the use of artificial intelligence and quantum computing, it is becoming applicable. Science is no longer attempting to disprove God, they are trying to bring about their own god. Science is no longer a subject but a religion, and this religion is wagging war against the Bible. 17 And that no man might [a]buy or sell, save he that had the [b]mark or the name of the beast or the number of his name. According to Geordie Rose within 15 years, (By the year 2030) mankind will have created a machine that outperforms humans in every aspect of life. The prediction is in essence stating that by the year 2030 a humanoid machine many times smarter than humans will exist.